Queen & Adam Lambert have revealed that they’ll play a residency in Las Vegas under The Crown Jewels banner this September. The run of 10 shows will get under way at the Park Theater at Park MGM in the city on September 1 and conclude with a performance on the 22nd of the month. 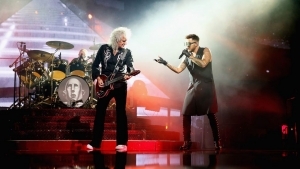 Find more details about Queen’s residency here.